Annihilated a pumpkins and other items. Sweet power and accuracy. Annihilated those dam pumpkins! I wish I could shoot this all day without my arm falling off. 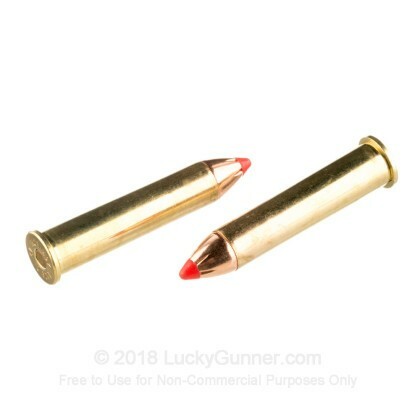 The best bullet I've ever used. 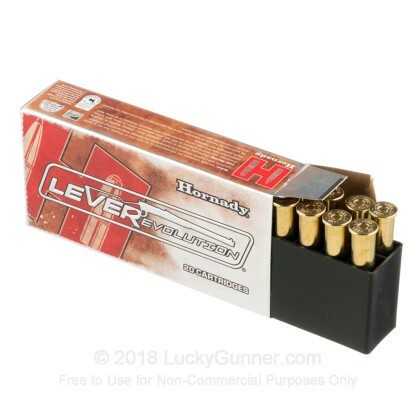 I have shot many other calibers manufacture by other companies, NONE have produced the quality nor the predictability of results as this cartridge. One shot on a 250 pound wild boar at 18 yards. No exit wound. All power dumped into the chest cavity. Looked like a bomb went off inside. Softball sized wound. Everyone in the hunting party, plus guides, were stunned. Marlin 1895 SBL. 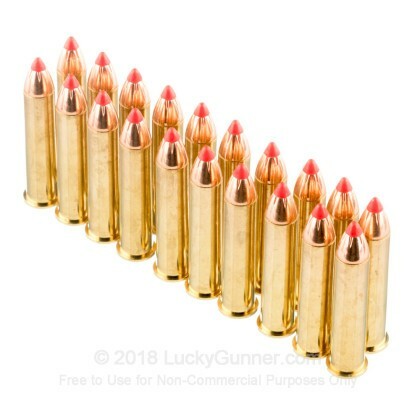 This ammo is very hot. It's not a +P round, but the light weight and conical shape put this up there in speed! I'm sure all those who shoot this type of gun know how much kick they have and this round is no exception. This is definitely a dangerous game load. A: Hi Lisa, Yes. 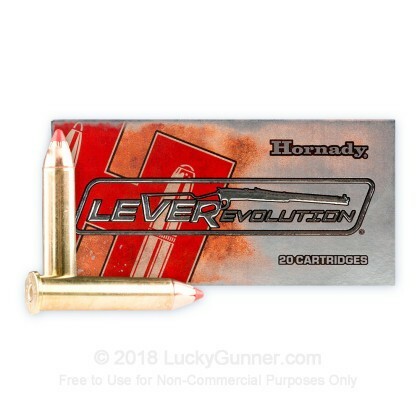 According to the Hornady Site: LEVERevolution® represents a breakthrough in ammo design for lever action rifles and revolvers. The key to its innovation and performance is the patented elastomer Flex Tip® technology of the FTX® and MonoFlex® bullets. 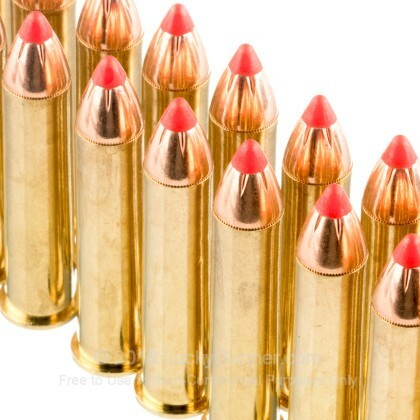 Safe to use in tubular magazines, these bullets feature higher ballistic coefficients and deliver dramatically flatter trajectory for increased down range performance. Not recommended for use in handguns or revolvers. 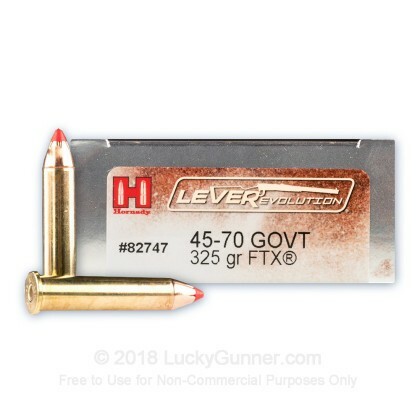 We also have this 45-70 Government - 325 Grain FTX - Hornady LEVERevolution - 200 Rounds ammo in stock in a bigger quantity.